Wisc. and M in 1969 by Parkview DC. Republican legislators just really hate the idea of us biking. The Social Safeway is seeking LEED certification. 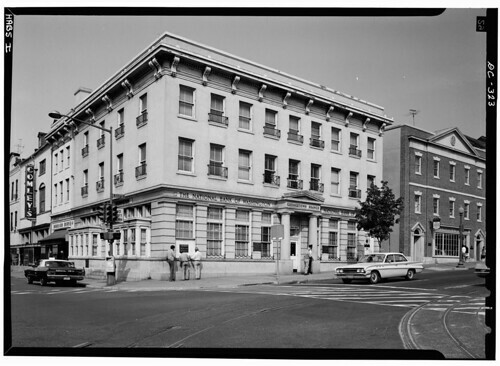 DC Metblogs finds old footage of streetcars gliding through Georgetown heading out to Glen Echo. 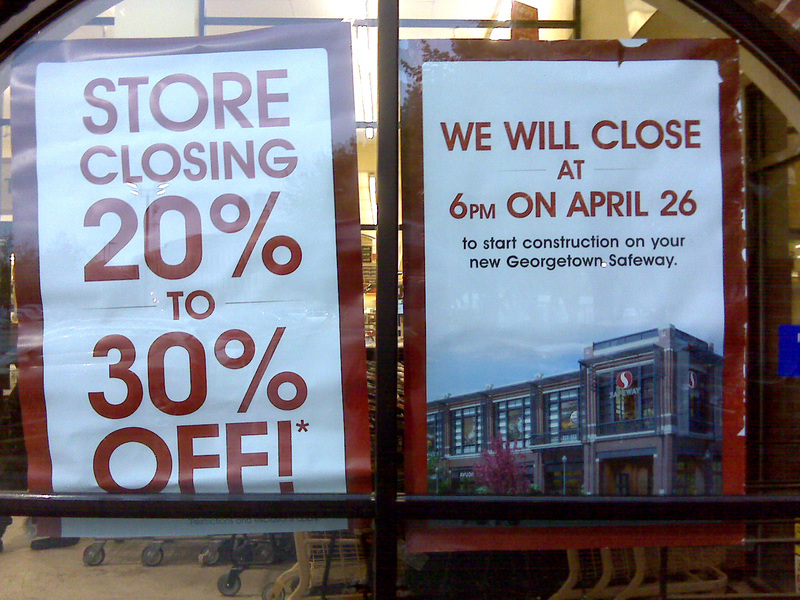 Safeway recently gave us one less reason to stay loyal during the construction of Social Safeway Mark II. As GM pointed out, Safeway offered an automatic 10% discount to Georgetown residents when they shop at one of Safeway’s other stores. GM naively thought this hardship discount would last during the extent of the construction. He found out last weekend that that’s not the case. Apparently Safeway stopped the discount in July. GM didn’t notice until his Safeway Club Card discount seemed only as big as, well, a normal Club Card discount. The cashier verified our suspicions, the 10 percent discount was discontinued. Presumably Safeway figures whatever habits Georgetowners will form during the construction have already formed. The kids over at Vox Populi discovered a construction cam for the Social Safeway and found that there is already friction starting between the residents and the construction crews. We’ll see how long it’ll take Safeway to back off their claim to have this thing built in 11 months. Dumbarton Oaks installed some modern sculpture that is apparently reminiscent of various bodyparts of a drug addict. “A sale, a trunk show and complimentary mimosas galore” at Fresh this Sunday, 2-4. 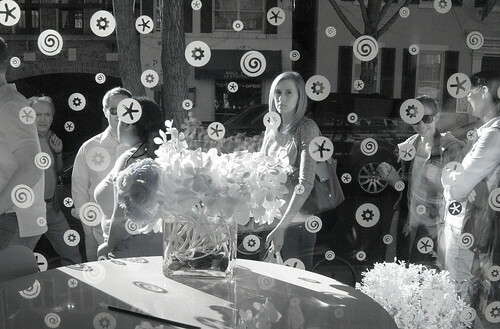 Photograph of Georgetown Cupcake by Flickr user Zachstern. 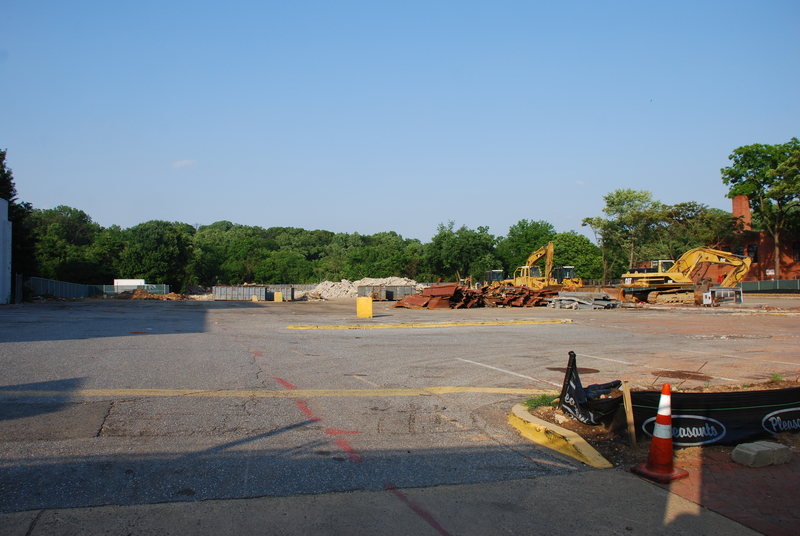 To anyone who hasn’t swung by the Social Safeway, you may not have seen that it has been reduced to a small pile of rubble. Social Safeway is dead! Long live Social Safeway! So Where Are You Getting Your Groceries Now? It’s been up in the air when Social Safeway would exactly close, but now it’s set (down to the minute apparently): Social Safeway will close for good on April 26th at 6:00 PM.